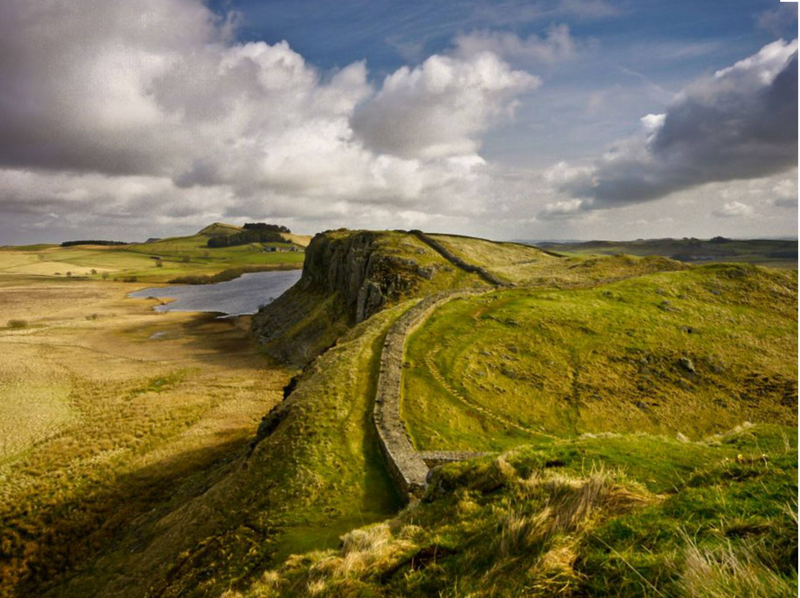 Stretching the breadth of northern England, Hadrian's Wall is a majestic reminder of the ambition and might of the Roman Empire's conquest in Britain. Now, new archaeological evidence has suggested, contrary to previous belief, that the Romans far from co-existing peacefully with the locals, ejected them by force in order to build the 73-mile divide. The Unesco World Heritage Site stretches from the Solway Firth in the west to Wallsend on the river Tyne in the east. Construction was ordered by the Emperor Hadrian and started in AD122. It was Roman Britain's most ambitious building project, designed primarily to mark the northern limit of the Empire. For decades, archaeologists struggled to date the indigenous communities around the wall because the site yielded very few artefacts. The only way of dating these Roman and pre-Roman Iron Age settlements was to excavate what little there was. Since the 1970s, when serious excavation began, experts believed the local population living in the shadow of the wall had actually flourished under the Roman invaders. But the new evidence suggests the Roman legions actually cleared a 10-mile stretch in front of the wall by force. By using carbon-dating techniques archaeologists have been able to pinpoint the chronology of the local settlements far more accurately than in the past. More than 60 radiocarbon dating tests were undertaken on Iron Age settlements between 2002 and 2008 around the Newcastle area, giving the most complete sample ever of Iron Age settlements north of the wall. Data from the investigation, led by Nick Hodgson at TWM Archaeology, is to be published in Current Archaeology next week and is said to be one of the biggest discoveries about the way in which Hadrian's Wall shaped the country. Dr Matthew Symonds, an expert on the wall and editor of Current Archaeology, said: "These new excavations suggest these settled farming communities... survived the first Roman appearance in the area. But it's only when Hadrian's Wall is built that they suddenly seem to go out of use."